Competition Entry: Proposal for Redevelopment of Rajasthan House, 2018, by Intrigue Designs - ArchitectureLive! Remodeling / Redevelopment of the Present Rajasthan House with complete conceptual , architectural design and service Resolution with the current bye-laws. New Provisions are to include , a grand front foyer with kitchen , all day dining and cafeterias . A small Conference / Banquet Area along with meeting rooms to function as a business center . The building designed should be ECBC and Griha III compliant . All measures to make the building as green and sustainable are to be highlighted. Rajasthan House , has been conceptualized as a modern gateway to Rajasthan . The Region of Rajasthan evokes a strong sense of art , culture and way of life visible in it’s architecture. The strong elements of planning such as interior and exterior courtyards , internal spatial planning and spatial proportions have been studied in depth to achieve the present spatial configurations . External facade treatments including decorations of projections , treatment and proportions of windows and doors , use of hexagon courtyard trellis are all extrapolated from the heritage buildings of Rajasthan and Delhi . The use of extensive color and intricate patterns prevalent in shekhawati art have been translated into dazzling geometric flooring across the facility. The material palette of stone , textured walls and steel trellis are all modern day elements , sourced locally. The design also addresses the location and the present context of the site. 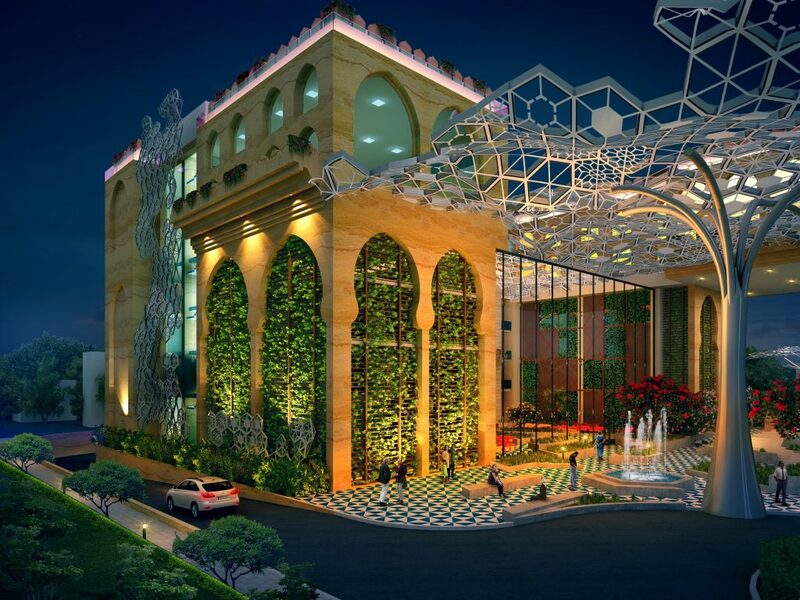 The hexagonal trellis, covering the reception courtyard has high visibility from the main prithviraj road. The front courtyard is also designed and landscaped as an external event place. Along with proposal of galleries , multiple cafeterias and business centers all connected to the front court . 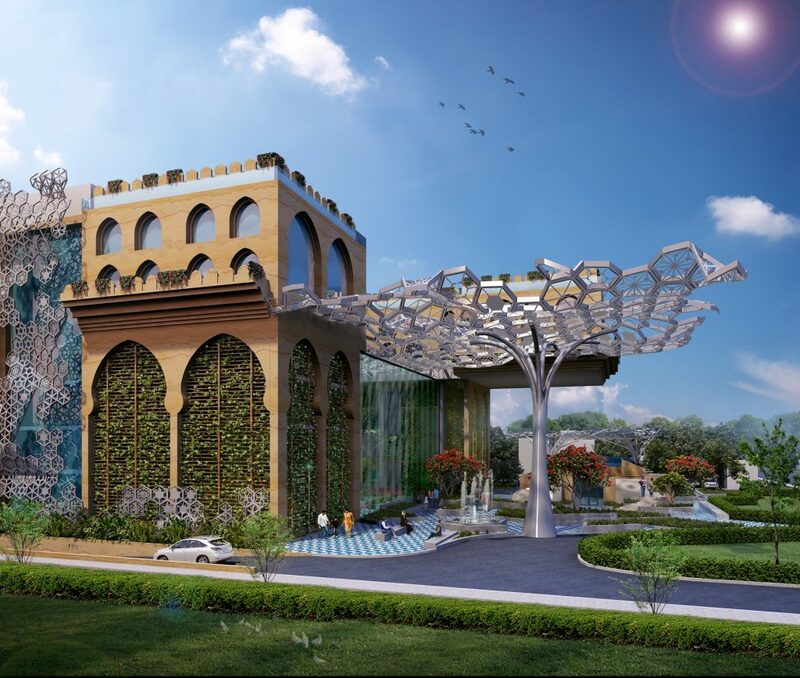 The building has been designed with GRIHA-3 compliance . All the main services are placed in the lower basement and terrace. The upper basement is designed as car parking and staff accommodation facilities.